The road was closed for around seven hours while emergency services attended the scene. A man who died following a road traffic collision on the A7 has been named as David Regan, from Edinburgh. 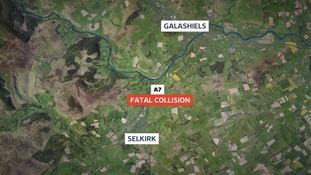 The 54-year-old biker suffered fatal injuries when his bike left the road between Selkirk and Galashiels around 12.20pm on Tuesday 20 March. He was taken to the Edinburgh Royal Infirmary where he died on Thursday 22 March. A motorcyclist has died following a collision on the A7 in the Scottish Borders. The 55-year-old biker from Edinburgh suffered fatal injuries when his bike left the road between Selkirk and Galashiels on Tuesday 20 March. He was taken to Borders General Hospital and later transferred to the Edinburgh Royal Infirmary where he died this morning, Thursday 22 March. A 63-year-old van driver has died in a collision with a tanker lorry on the A701 in Dumfries. Michael David Reid, from the town, was pronounced dead at the scene. It happened at around 1.45pm on Wednesday 7 February at Amisfield. The 55-year-old driver of the tanker lorry, also from Dumfries, was uninjured. The road was closed until around 11pm while police carried out investigations. 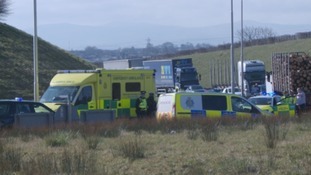 A woman from Millom, identified as 51-year-old Tatiana Grieve, has died after being hit by a HGV on the M6. The incident happened at around 12.27am on Tuesday 19 December between junctions 36 and 35. 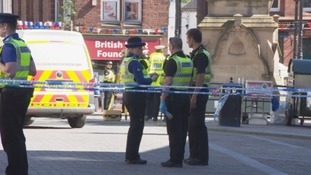 The driver of the HGV was a 54-year-old man from the Leeds area. Police are appealing for anyone who may have seen Mrs Grieve or her vehicle, a silver Toyota Rav 4, on the M6 just south of junction 36 at approximately 12.10am. Anyone with any information should email 101@cumbria.police.uk or call 101 and ask to speak to PC 2190 Batley quoting incident number 4 of 19 December.